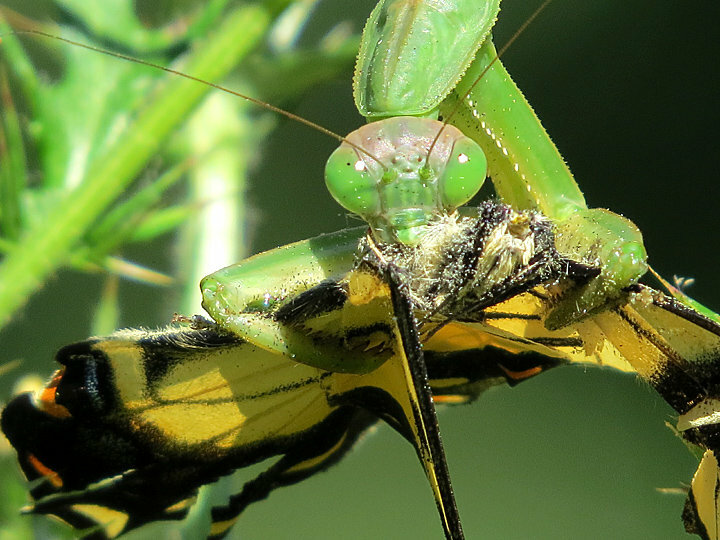 A praying mantis devoured a tiger swallowtail. It started first with the head, then worked on the body and let the wings drop. It was such an interesting sight, and I felt privileged to be there to observe it.